Robots are increasingly seeing the world outside of laboratories and factories, and most of us think we would be able to spot one relatively quickly. What if you walked past one on the street — would you recognize it for what it was? How long would it take for you to realize that homeless organ grinder was a robot? The brainchild of [Fred Ables], Dirk the homeless robot will meander through a crowd, nodding at passers-by and occasionally — with a tilt of his hand — ask for change, churning out a few notes on his organ for those who oblige him. [Ables] controls Dirk’s interactions with others remotely from nearby, blending into the crowds that flock to see the lifelike automaton, selling the illusion that Dirk is a real human. This is often effective since — as with most homeless people — pedestrians won’t spare Dirk a second glance; the reactions of those who don’t pass him over range from confusion to anger or mirth over being so completely duped before looking for the puppeteer. This animatronic teddy bear is the stuff of nightmares… or dreams if you’re into mutant robot toys. In either case, this project by [Erwin Ried] is charming and creepy, as he gives life to an unassuming stuffed animal by implanting it with motorized parts. [Erwin] achieves several degrees of motion throughout the bear’s body by filling the skin with a series of 3D printed bones, conjoined by servo motors at its shoulders, elbows and neck. The motors are controlled via an Arduino running slave to a custom application written in C#. 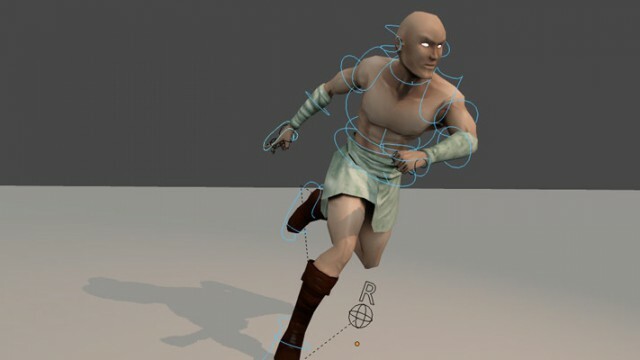 This application uses the motion tracking and facial recognition features of the Xbox Kinect, mapping the input from the puppeteer’s movement to the motors of the doll’s skeleton. Additionally, two red LEDs illuminate under the bear’s cheeks in response to the facial expression of the person controlling it, as an additional reminder that teddy feels what you feel. Adafruit Industries just posted the first episode in a new educational series aimed at teaching kids about electronics. The episode is entitled “A is for Ampere” and teaches the basic theory behind electrical current. The subject seems like a common one for A-to-Z themed electrical tutorials. [Jeri Ellsworth] did a similar episode but hers is aimed more at the electronics hobby crowd. [Limor] and gang (that’s [Collin Cunningham] dressed up as [Andre-Marie Ampere]) seem to be all-in on this project. The episode features ADABOT, the blue puppet which takes on the role of the student in this episode. After demonstrating a mains circuit breaker tripping the episode goes on to discuss electron flow and how current is measured. We’re all about this type of educational opportunity. The age group at which this series is targeted have never known a day without touchscreens, they should know at least something about how those devices actually work.